Locks damaged or broken? Is your key sticking, lock hard to turn, or maybe your deadbolt is on the fritz. No matter the case, we can help repair your lock with high-quality parts that will make sure to last. 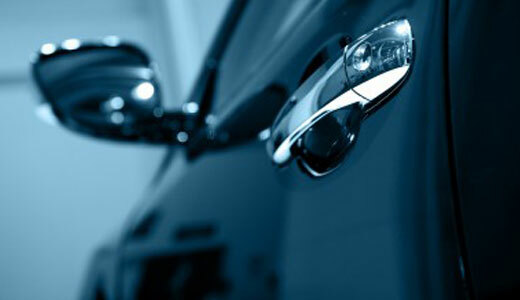 We provide lock repair services for cars, homes, and businesses of all kinds. At the time of inspection, our locksmiths will come to your location, check the lock assembly and construct a plan of action to repair it. Whether your lock just needs adjusting, a new tumbler, oil, or your pins adjusted, we will get to the root of the problem and replace or adjust the necessary lock parts to provide smooth operation continually. Best Car & Home Door Lock Repair Services In Phoenix Arizona! In cases where the lock is beyond repair, we will recommend a fresh lock installation and let you know why we have come to that conclusion. Most locks under 15 years old will be able to be repaired in our experience, especially with the milder weather that we have in Phoenix. High-security lock repair is available for homes and businesses in Phoenix AZ, although we may need to special order parts for some assemblies, give us a call and we will let you know what we have available! We work on deadbolt locks, electronic locks, lever tumbler locks, mortise locks, pin tumbler, rim locks, spring bolt locks, sliding glass door locks, handle-set locks and more. Best in the valley!! Found these guys on google today. They were quick, professional and most importantly, affordable! I will be adding Phoenix Locksmith Pros to my contacts for any locksmith services i may need in the future! Thanks for the awesome service guys! these guys should be your first call if you need any form of locksmith services! I arrived at my place of business today to find that someone attempted to break in. Fortunately they didn't, but my lock sure took a beating. I called phoenix locksmith pros and they had someone on location in 20 minutes to evaluate my lock and determine whether it could be repaired or needed replacing. They ended up replacing the lock on my door and had made me new keys all in less than an hour! For the past few months i've had to unlock my truck from the passenger door because the lock on the driver's side door is broken. I had some extra money left over this paycheck and figured i would look into getting that lock repaired. I found Phoenix Locksmith Pros and had them send out a technician the same day. It was very affordable and their service is phenomenal! Feels good to be able to unlock my vehicle from the driver's side door again!! I almost had a panic attack when I went to unlock my front door and the key wouldn't turn. I've never had issues with my lock locking or unlocking but for some reason it didn't work this time. I'm a full-time student and was worried it was going to cost a lot to have a locksmith come out but I found Phoenix Locksmith Pros and thank goodness i did. They sent someone out who was able to fix my deadbolt and they did it without costing me an arm and a leg. Thank you Pheonix Locksmith Pros! Phoenix Locksmith pros are awesome!! A++ great customer service, friendly, and fast!! I recently installed a new deadbolt lock myself on my front door at home, since the change it's been difficult to lock and unlock the door. The lock would jam and require me to jiggle the key until the lock would allow me to turn the key. Not being able to fix the issue by myself I decided it was time to call in the pros. Phoenix Locksmith Pros had someone at my house in under 30 minutes and they had my lock fixed and working like it should've from the jump in even less time. I will be keeping these guys in mind next time I need a locksmith. My key broke off inside of the lock to my car door today. Phoenix Locksmith pros came out and extracted my broken key from the lock and made sure that there wasn't anything damaged or in need of repair. They even cut me a new key for my car. 5 out of 5 stars no doubt. Wow! These guys offer top-notch service. I was very impressed with the level of professionalism and the speed of service with Phoenix Locksmith pros. Don't hesitate to call! They will get you taken care of without breaking the bank. these guys are quick! Gave them a call and in 15 minutes someone had arrived to repair the lock on the door from my garage into the house. Awesome company! Definitely will call again if needed.